Protect your company audio/video, PDF documents, web page and images with Haihaisoft DRM-X 4.0. Haihaisoft team can help you integrate and automate enterprise DRM in your business as part of your overall content strategy. Haihaisoft DRM-X 4.0 offers any sized business the ability to have enterprise DRM implemented within their IT environment. Get all the same powerful digital rights management (DRM) controls that you would expect from ‘Giant’ but with the affordable pricing and customized solutions that Haihaisoft can offer. Haihaisoft DRM-X is used by businesses around the world to protect their audio/video, web pages, pdf and images with strong encryption, extensive DRM controls, and detailed license report. Protect Web Page (html, htm, bmp, gif, png, jpg, jpeg, svg, webp, js, css), Audio/Video (mp3, mp4, wav, and WebM formats) and PDF. Source code and images with strong encryption, and also disabled browser debug and view source. Users’ needs to login to view protected web page, support license combined with hardware. Extensive set of DRM policies for rights permission, such as expiration date and open count, watermark and clipboard (text copy). Batch encrypt 16 file formats includes web page, audio/video and PDF in a single click. Integrate with your website or 3rd party system. Cross platform: Support Windows, MacOS, Android and iOS platform. Single Xvast browser to support all the features. Support Online/Offline browser protected files. 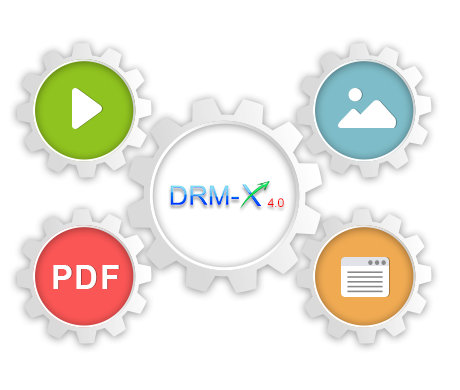 If you have a well-equipped technical team, whether internal or outsourced, they can learn DRM-X 4.0 integration documentation to connect Haihaisoft DRM with other systems or to set up automated processes. Or you can take advantage of Haihaisoft’s experienced professional services team who have done many of implementations. Haihaisoft also provides customized solutions to meet your specific requirements. For example, customize Xvast browser to your own brand. The customize browser features including the put your company name and logo in Xvast, customize browser skin, change default Home Page, add page URLs to favorites, change default search engine and functions for your specific business use. Haihaisoft also would like to hear the suggestions of customers. Haihaisoft makes Enterprise DRM better for customers and keep it updating to against piracy.